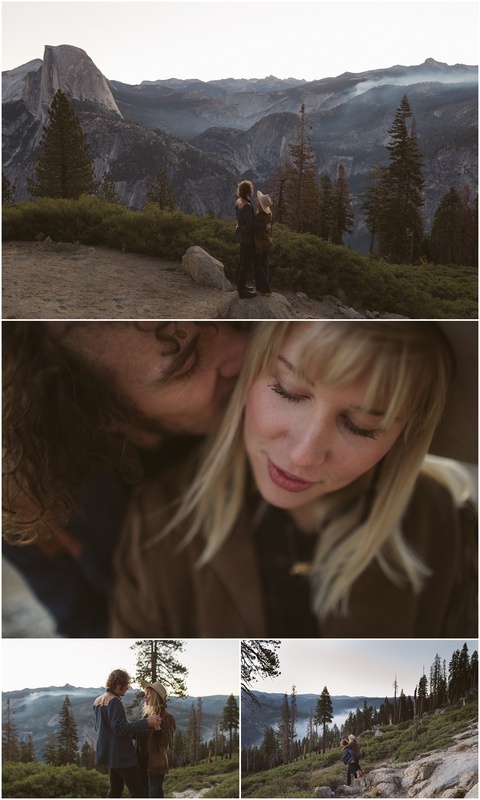 Holy moly you guys, I had been DYING to shoot in Yosemite for over a YEAR so I was beyond stoked when Charlotte reached out to me on Instagram saying she and James would be near the park the same weekend I was. Charlotte and James are the real MVP’s of the session in all honesty because not only did they wake up before the sun to make the 45 minute trek up into the mountains but they looked like a million bucks too! My look on the other hand was a totally different story but thats not important, the only time I am a morning person is in the instance that freaking rad photos are about to happen. It just so happened that the weekend we were all planning on meeting in Yosemite it was also Charlotte and James 1 year anniversary. It may not have been my anniversary by it felt super special to witness the sun rise over Glacier Point with these love birds and I will legitimately never forget it. After we romped around Glacier Point we packed up and headed back down the mountain to the Big Trees Lodge to do a few more fun portraits on the grounds of the historic, beautiful hotel. 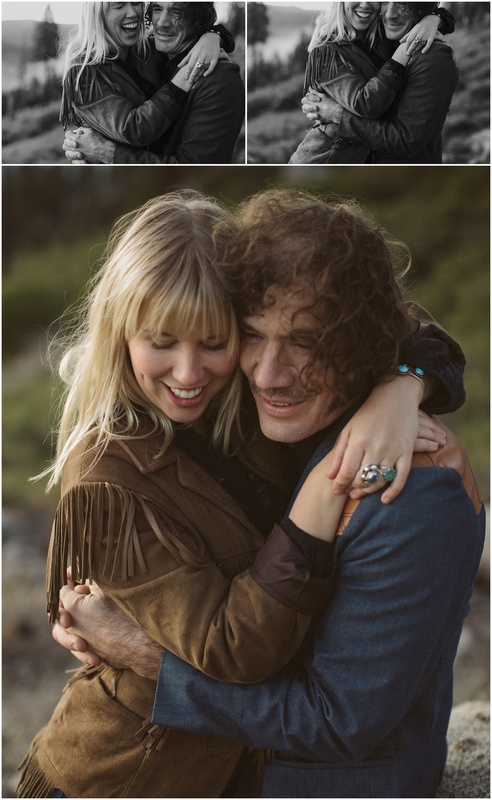 Check out the entire Yosemite Anniversary Portrait Session below and reach out if you want to adventure in the mountains with me! I am pretty much always itching to get back. Northern California might be one of my favorite places to shoot weddings and engagements, if you love the Bay Area coast line you’ll love Taylor and Brian’s Intimate Point Reyes Wedding.